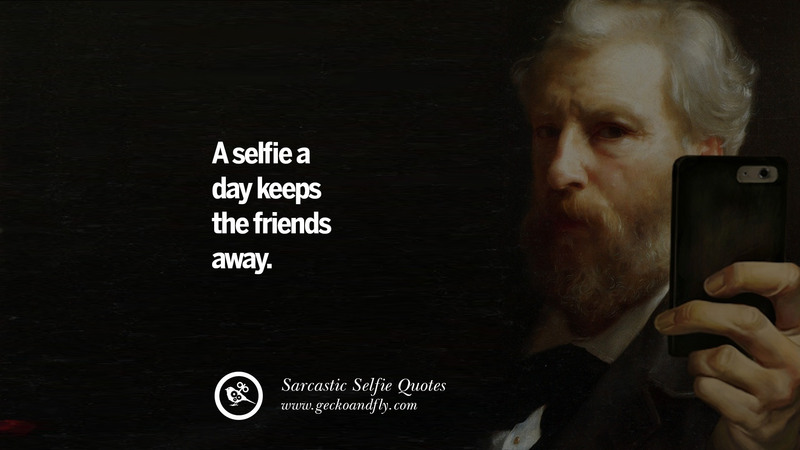 A selfie a day keeps your friends away. 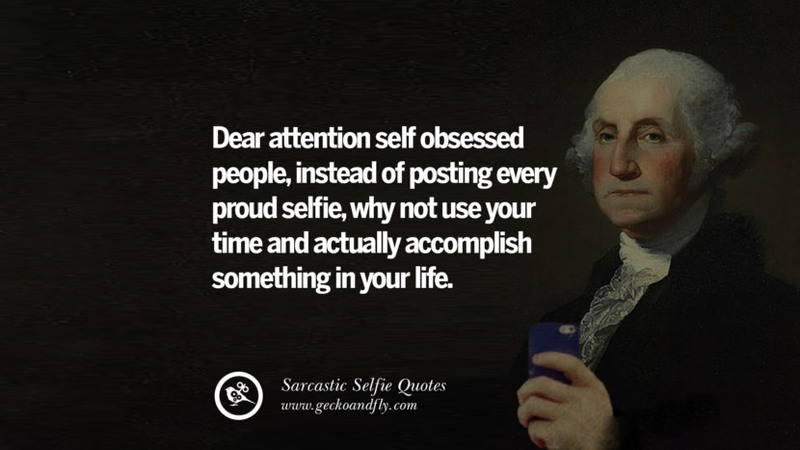 Honestly, I think it is okay for females such as Kim Kardashian to post selfies on Facebook or Instagram, but when it comes to guys, personally I find it somewhat vain. 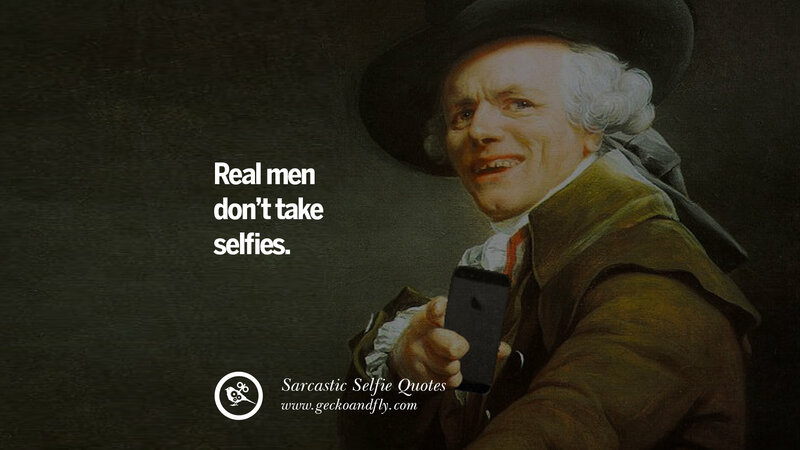 1 or 2 selfie is acceptable, but if a guy takes selfie too many and too often, it is simply unacceptable. 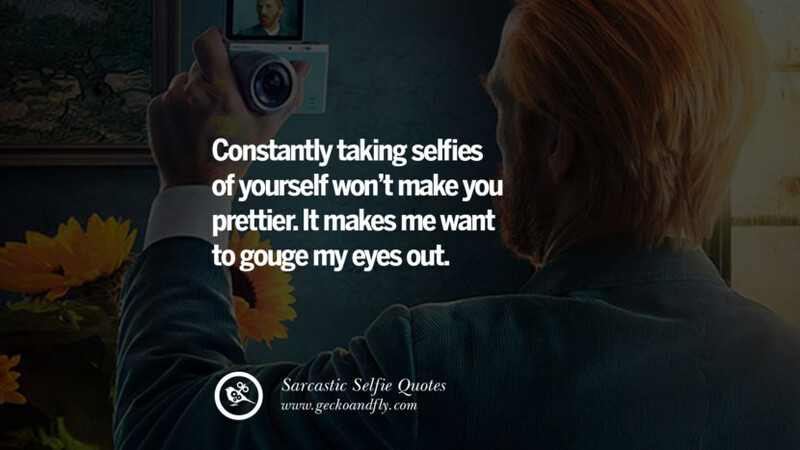 Made worse if you are not good looking, yet you think you are a hot guy with extremely good looks. Please understand that it is okay to be confident but being over-confident is as good as being stupid. 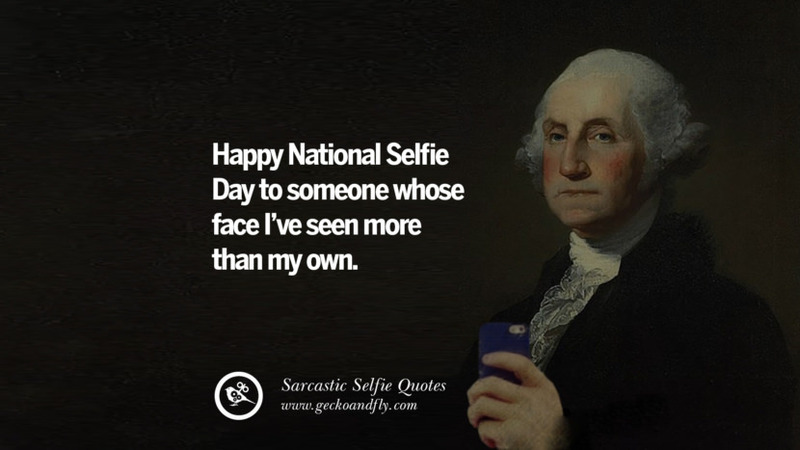 Without further ado, here are 30 anti-selfie quotes for you to remind your friends on social media that they have Narcissistic Personality Disorder and in need of medical attention. #SELFIE song by The Chainsmokers. 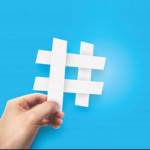 When they were creating this video theye wanted to gather as many #SELFIE’s as they could from friends, fans, celebrities and other types that were willing to take part, so they put in a call for action and received thousands of amazing #SELFIES from so many amazing and funny ppl. Are you ok? I haven’t seen you post a selfie in the last five minutes. oh, you poor thing. 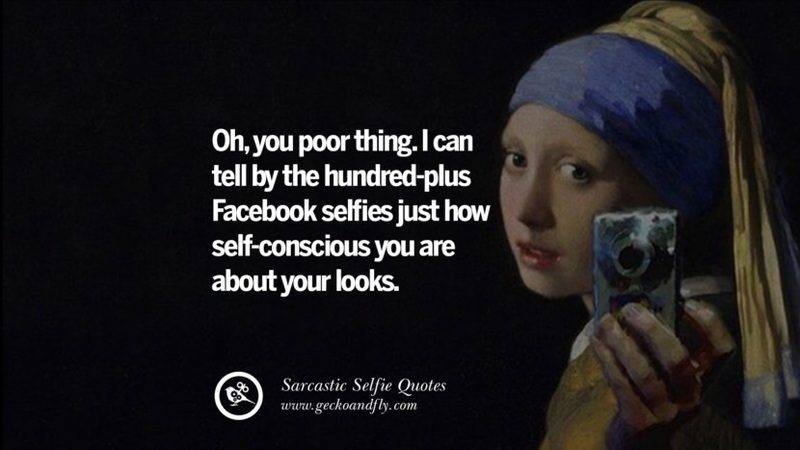 I can tell by the hundred-plus Facebook selfies just how self-conscious you are about your looks. 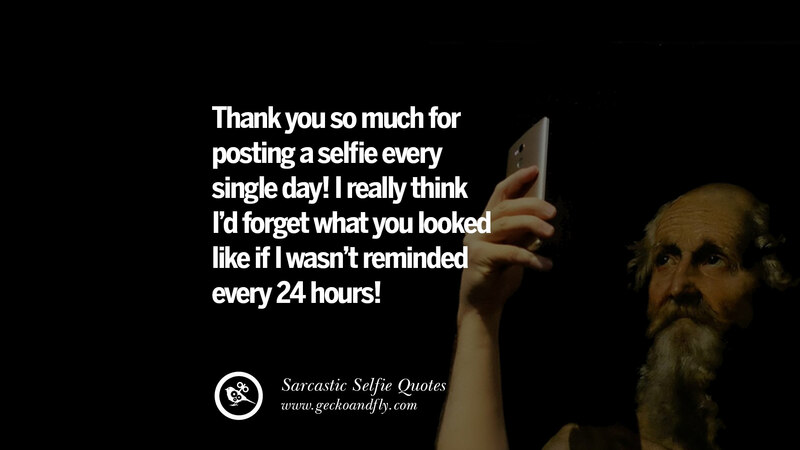 Thank you so much for posting a selfie every single day! 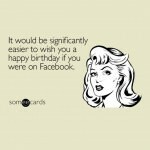 I really think I’d forget what you looked like if I wasn’t reminded every 24 hours! I swear we won’t forget what you look like if you stop posting selfie on Facebook every second. Oh, thank God! Another daily selfie on Instagram! 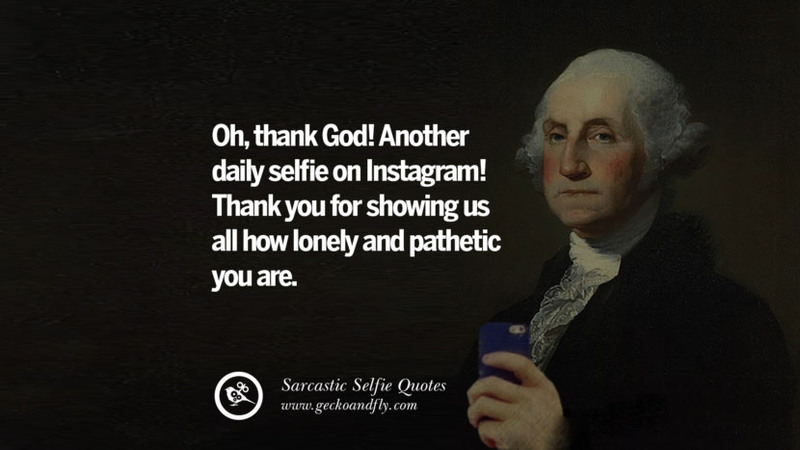 Thank you for showing us all how lonely and pathetic you are. Yeah! Another selfie, I hope those likes give you the confidence you need to get through your day. 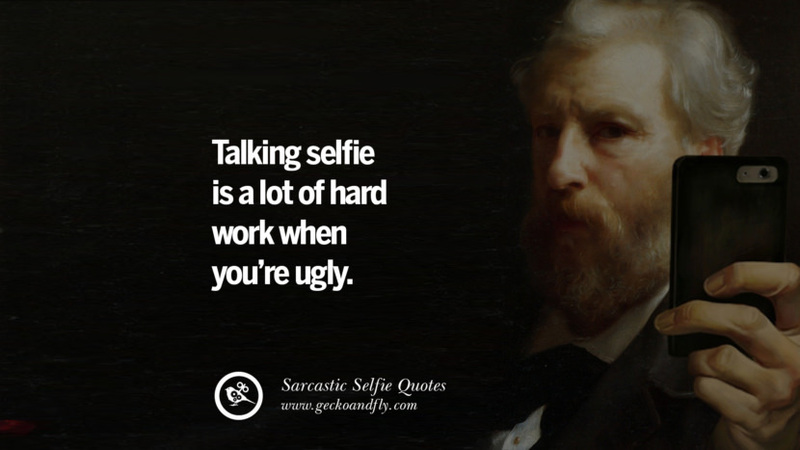 Taking selfie is a lot of hard work when you’re ugly. 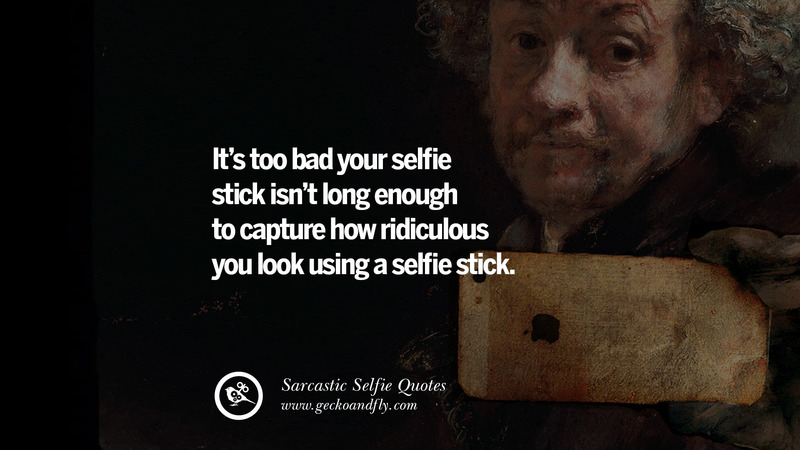 It’s too bad your selfie stick isn’t long enough to capture how ridiculous you look using a selfie stick. 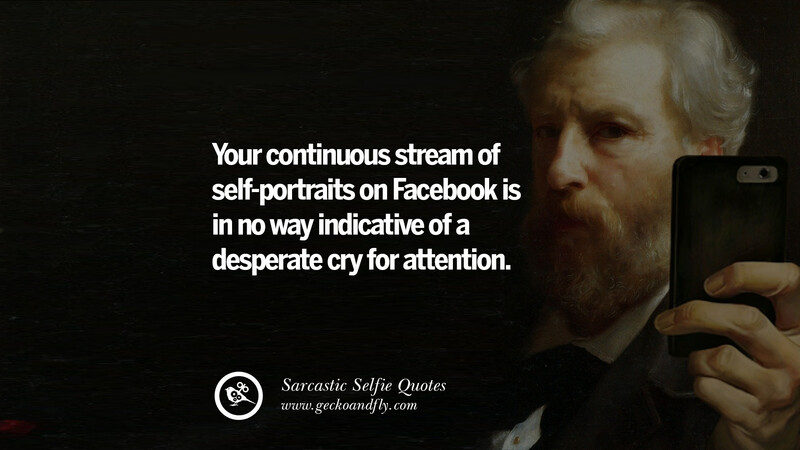 Your continuous stream of self-portraits on Facebook is in no way indicative of a desperate cry for attention. Hello modelling agency? 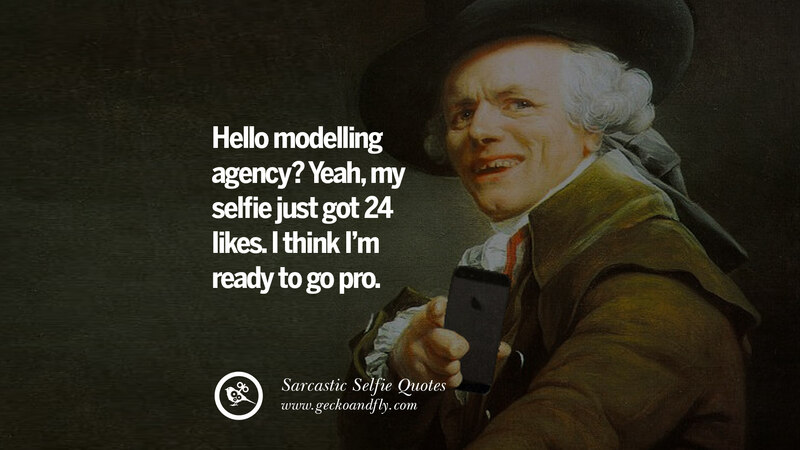 Yeah, my selfie just got 24 likes. I think I’m ready to go pro. 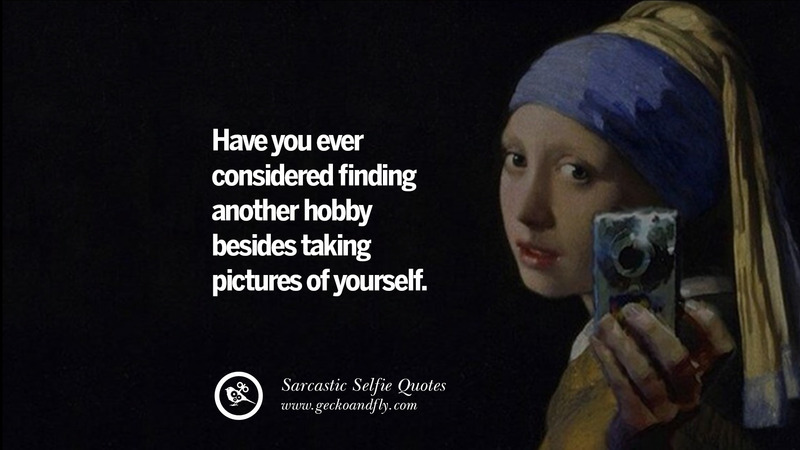 Have you ever considered finding another hobby besides taking pictures of yourself. 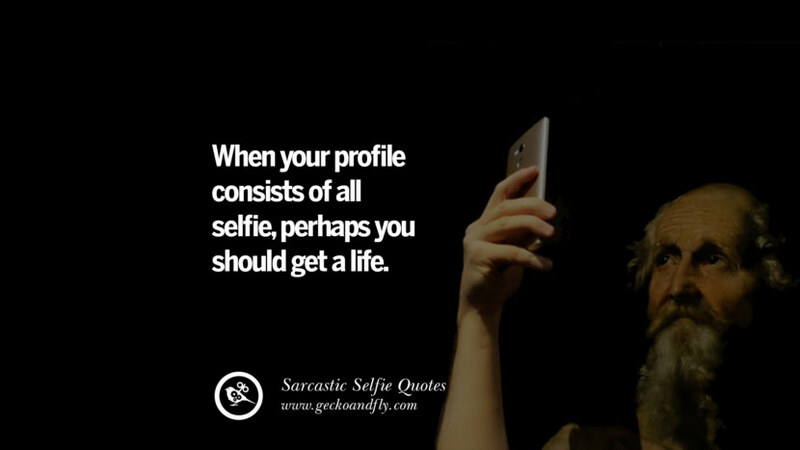 When your profile consists of all selfie, perhaps you should get a life. 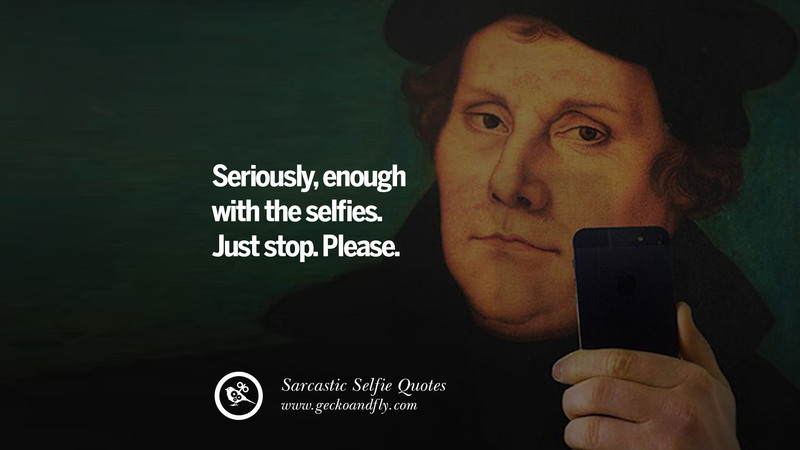 Seriously, enough with the selfies. Just stop. Please. Happy National Selfie Day to someone whose face I’ve seen more than my own. 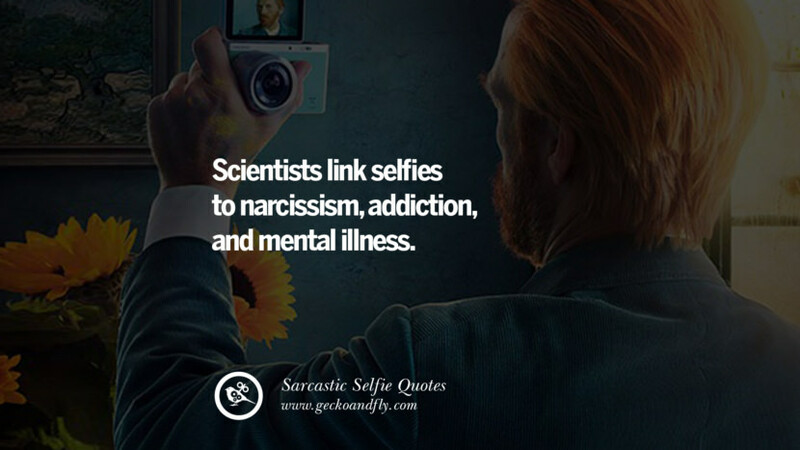 Scientists link selfies to narcissism, addiction, and mental illness. 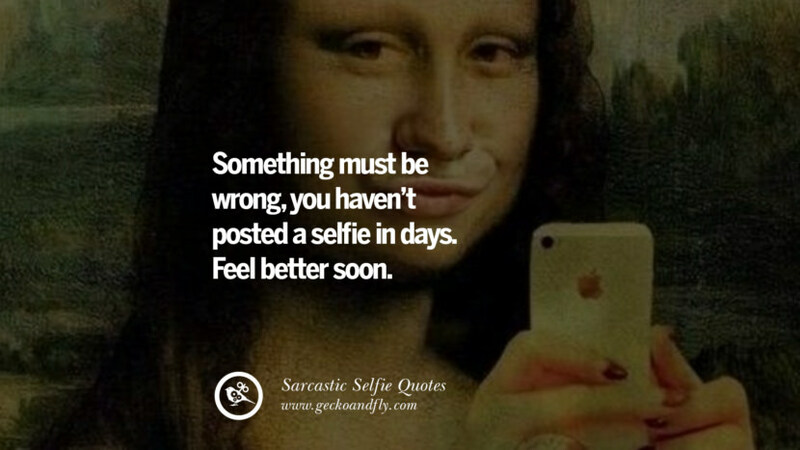 Something must be wrong, you haven’t posted a selfie in days. Feel better soon. So, you’re one of the girls who posts selfie on Facebook? 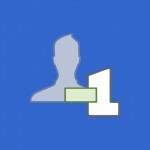 For a second I thought you weren’t a pathetic attention seeker. 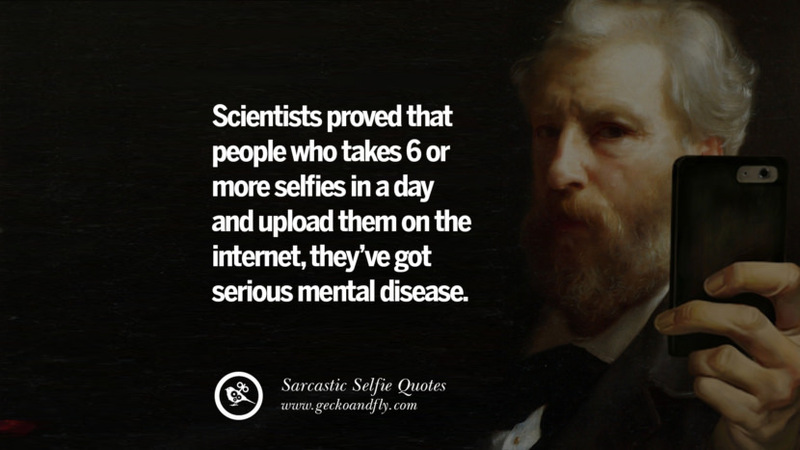 Scientists proved that people who takes 6 or more selfies in a day and upload them on the internet, they’ve got serious mental disease. 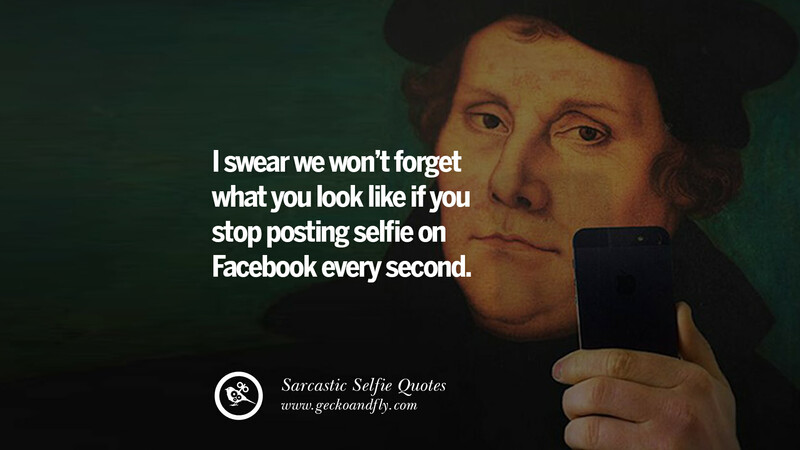 I swear we won’t forget what you look like if you stop posting selfies on Facebook every second. 3rd selfie in less than 24 hours? 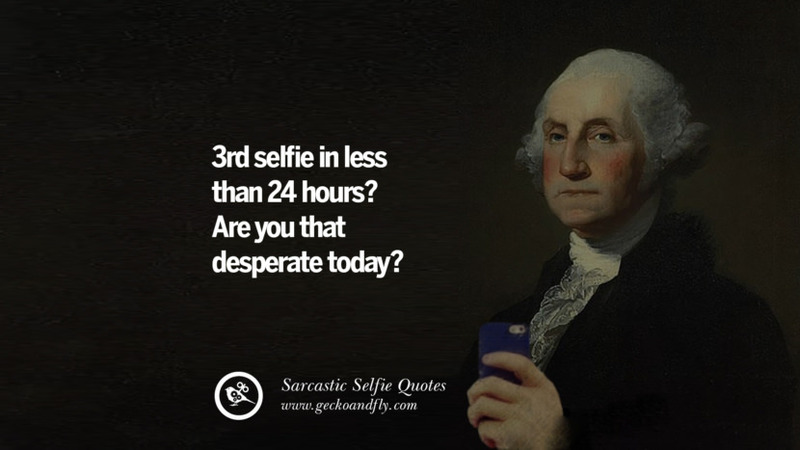 Are you that desperate today? A daily selfie? Really? Did you forgot what you looked like 24 hours ago or are you just that desperate for attention? 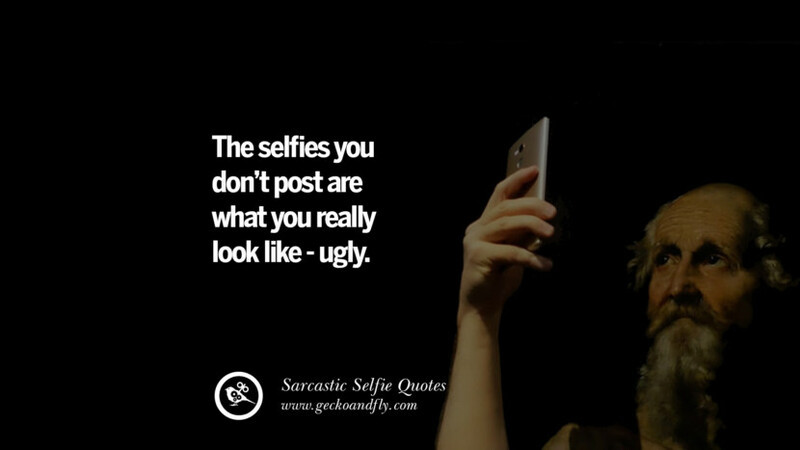 The selfies you don’t post are what you really look like – ugly. 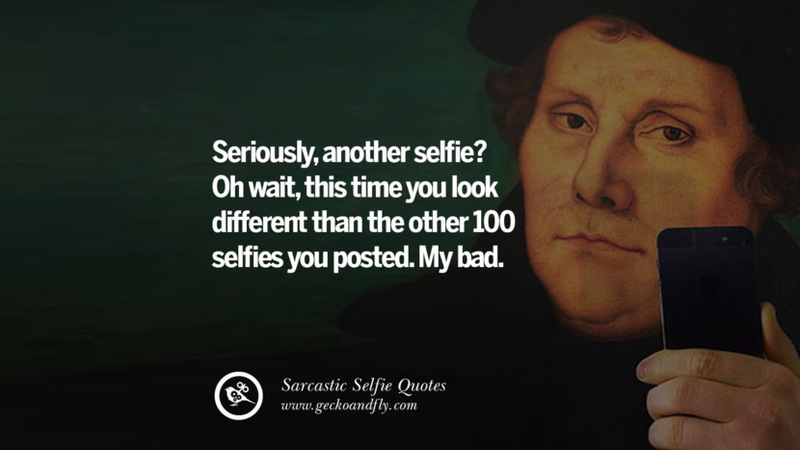 Seriously, another selfie? 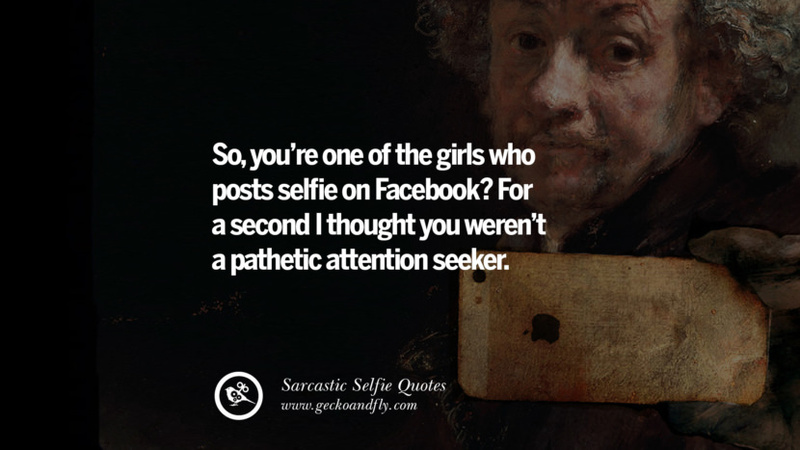 Oh wait, this time you look different than the other 100 selfies you posted. My bad. Dear attention self obsessed people, instead of posting every proud selfie, why not use your time and actually accomplish something in your life. 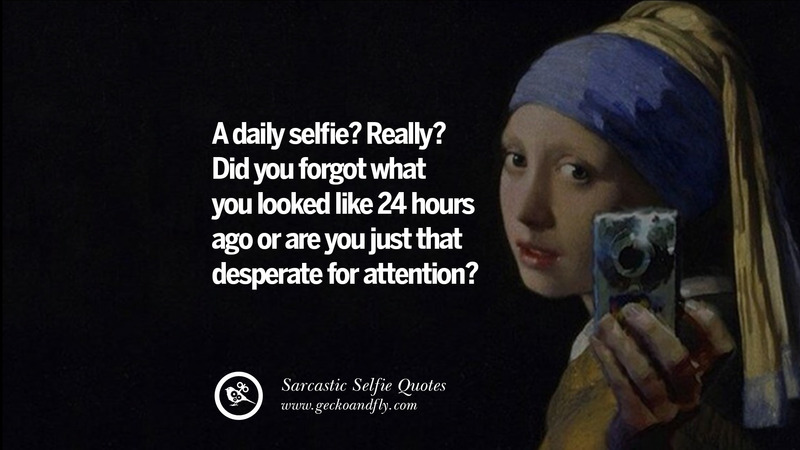 Constantly taking selfies of yourself won’t make you prettier. It makes me want to gouge my eyes out. 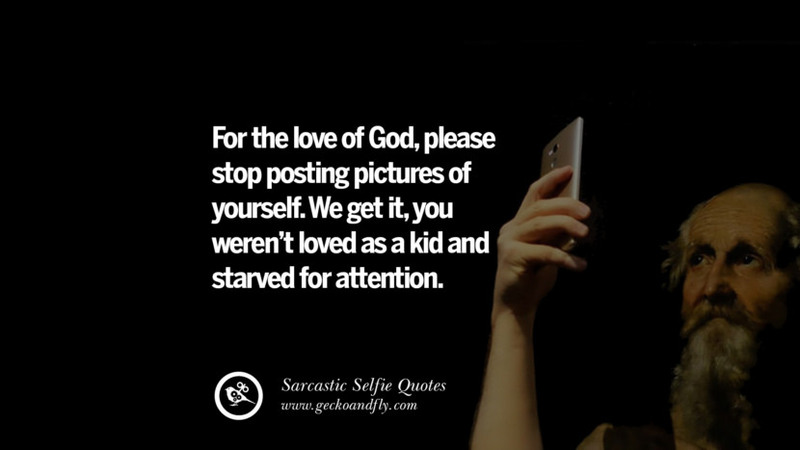 For the love of God, please stop posting pictures of yourself. We get it, you weren’t loved as a kid and started for attention. 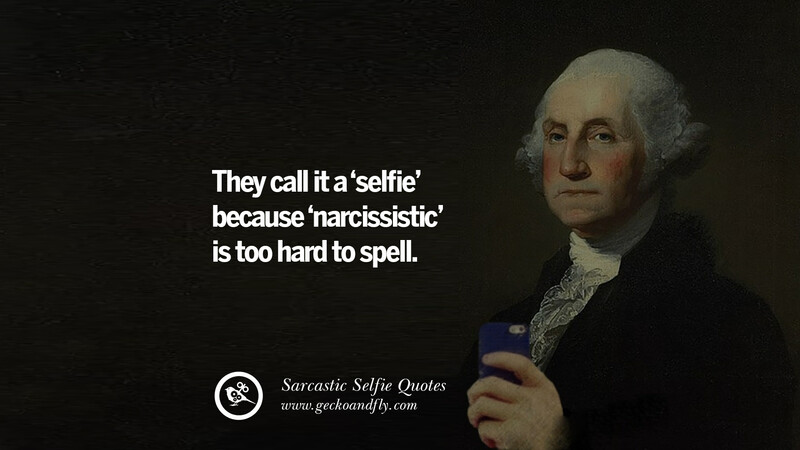 They call it a ‘selfie’ because ‘narcissistic’ is too hard to spell. 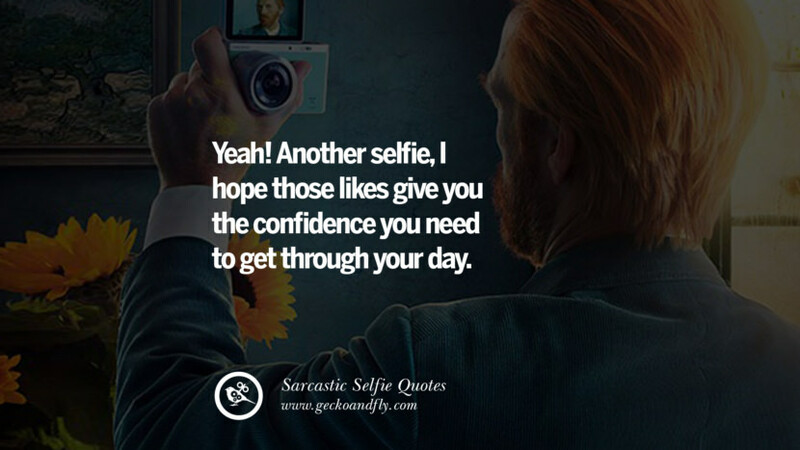 brilliant….my 21 year young daughter is so influenced by her current love who has 1000 selfies on insatagram yet says he is doing it to help others !!!!! 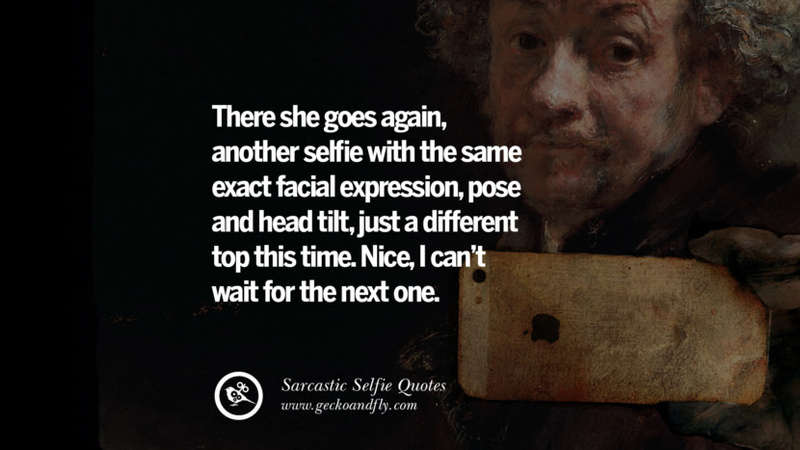 He comments with every selfie on his emotions and the boring details of his gym experience, for which he just took a selfie or video…my easily influenced, love stricken daughter has now copied his format of reporting into cyberspace, which is supposedly a substitute for a personal 3D paper diary without the constant mirror of mobile selfie land! To make matters more ridiculous, they also compete in the attached selfie notes re who loves the other more and thus appears they live apart when they are living together and in the same room when posting the rubbish……oh dear if that is cyberspace love ,it is merely atoms colliding with no essence….so often I have tried to encourage my daughter to realize that he should just get on with his real life and if he wants to help others, to realistically and privately do so by working for a charity etc instead of confusing his addiction to his own profile in cyberspace as a healthy life…..Of course I have said to both of them I do not need to meet him, because of his regular cyberspace diary!!!!!!!!!!! !